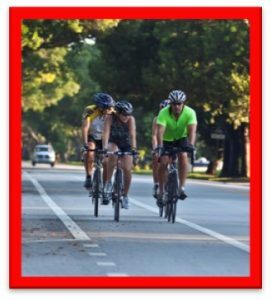 The Tallahassee-Leon County Bicycle and Pedestrian Master Plan (BPMP) is underway!! This Plan is being completed to make walking and bicycling more convenient and safer for citizens and visitors. 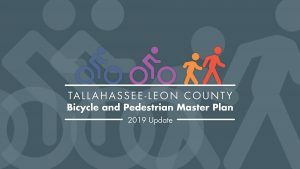 Originally developed in 2004, the Plan needs updating since the City of Tallahassee and Leon County have implemented bike and pedestrians facilities including shared-use paths and bike lanes. 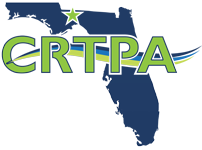 Additionally, the CRTPA and Blueprint have projects and plans for expanding these systems in the region and Tallahassee/Leon County, respectively. 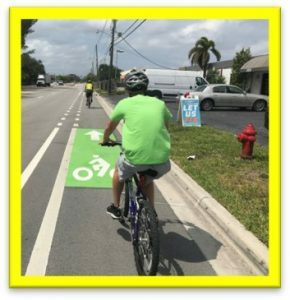 The Goal of the BPMP is to make traveling as a bicyclist or pedestrian safer and easier within Tallahassee and Leon County. Additionally, the Plan is to provide connectivity to other transportation systems, reduce vehicle conflicts, promote a healthier mode choice, and provide equity for transportation disadvantaged populations. The Bicycle Comfort Level is a data driven analysis of the roadway network utilizing traffic volumes, number of lanes, speed, and existing bike facilities. The results of this analysis relates to a “Type of Cyclist“ that would use the road based on its comfort level. This analysis also utilizes the grade of the road to determine a potential best route. This type of cyclist requires a facility completely separated from the road such as a Shard-Use Path. Cyclists who would like to ride their bike but have fears which are usually caused by vehicles. 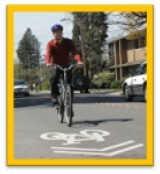 This type of cyclist needs low speeds, low volumes, and a separated facility such as a buffered bike lane. Cyclists who feel comfortable riding along a corridor next to vehicles at lower speeds and with facilities such as a bike lane or signage. Cyclists who will ride along a corridor regardless of the conditions. These users have no problem sharing the lane with a vehicle traveling at speeds greater than 40 mph. The application of the data for the Bicycle Comfort Level will produce a map like this, to indicate where each type of the above type of cyclist is apt to ride. Bike Routes – Each route on the map has a different color to show the linkages for connecting to the activity centers or parks. These routes will include signage and pavement markings. 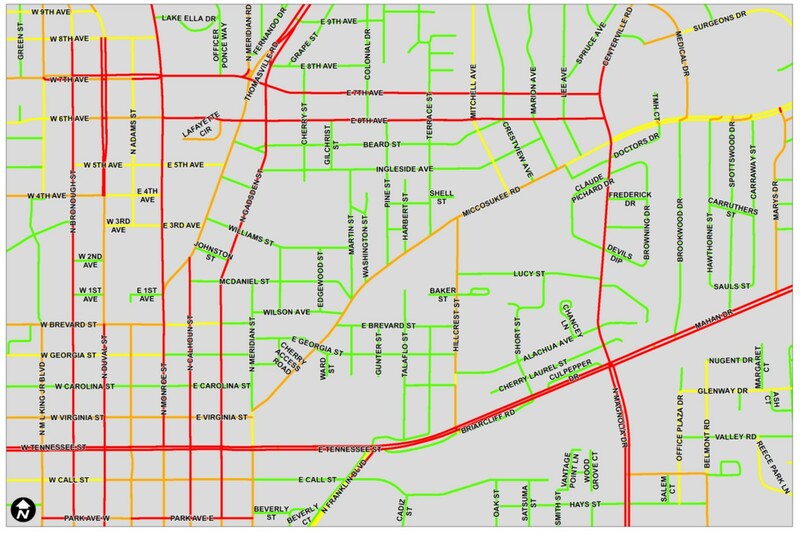 The Project Team is working with the Tallahassee-Leon County Planning Department to ensure that these routes have consistent signage and pavement markings. Major Projects – These are projects that will require a higher level of planning before they can be implemented. Projects such as Jackson Bluff Road, Thomasville Road, Meridian Road or Blair Stone Road will require more than signage and pavement markings to attain the “Interested but Concerned” Bicycle Comfort Level user. 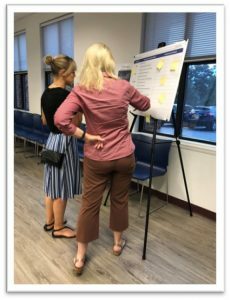 Blueprint Intergovernmental Agency “Blueprint” Projects – The projects have been identified as components of the Leon County Local Option Sales Tax program known as Blueprint. 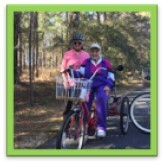 Leon County Bicycle Route Network – In recent years a series of bike routes was developed to create a network of navigable routes for users. Many of these routes are for the “Enthused and Confident” or “Strong and Fearless” types of bike riders. The components of this system that have the potential to be included in the BPMP efforts are included on the map. When all of the existing and future projects are combined, the bike network for Leon County has the potential to link the entire community. 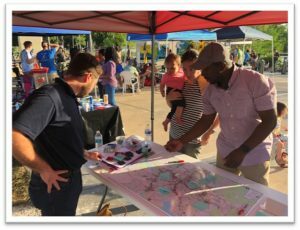 A Community Open House will be held on April 18, 2019 for the Tallahassee-Leon County Bike and Pedestrian Master Plan. This is the final open house for the project before it is presented to the CRTPA Board. Details of the event can be found here or below. We encourage you to ride you bike to the event and join us for a community bike ride after the open house. Parking for the event can be found here. If you can’t attend the event, you can still provide comments using this form. © Copyright 2019 Capital Region Transportation Planning Agency. Powered by Capital Data Studio.